Here is the new GOHOF thread, as the other one simply became too cluttered. I am asked these questions nearly every week, so here they are--and their answers, of course, as well as a few other things. How do I sign up? : You can only sign up by posting in the GOHOF thread and commenting the number of trees you have earned, as well as the order (if you remember). How do I get a trophy? : You must finish all the skills in any Duolingo course. I do not ask for proof, so I respectfully request that you not post any trophy pictures, as the thread will slow down. 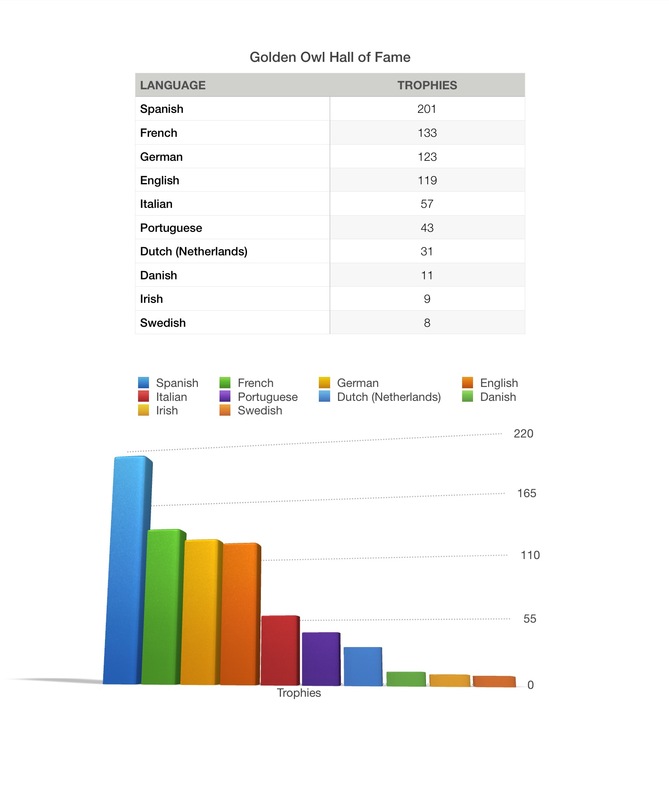 What if I have multiple English trophies? : It would simply be too much to customize every "English from X" trophy, so I only count English trophies once. Do I have to post every time I get a trophy? : Yes, because I delete posts from that week to keep the thread clean for you all. Can I congratulate trophy earners in the thread? : I prefer that you post on their stream/celebratory discussion, because the posts add up on my end. Does having a trophy from my native language count? : Yes. A tree is a trophy is a golden owl. If you don't want that trophy on the list, don't mention it in your comment. What if I spot an error in an entry, either a typo or incorrect trophy? : Comment on my stream and I'll resolve the issue. Do not comment in the thread. 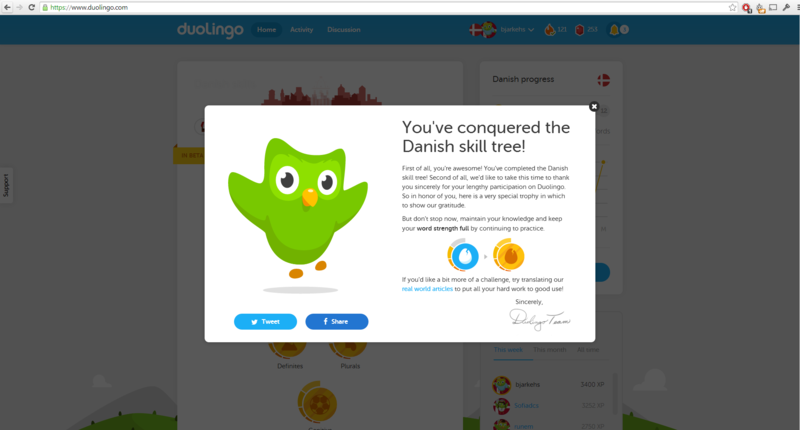 The GOHOF began in August 2014 as a petition to Duolingo to add acknowledgements of finished courses to user profiles, and since then, almost 400 people have joined the list. There are, on average, seven new members a week. 739 Golden Owls have been recorded as of January 3rd, 2015. Hello from sunny Port Vila, Vanuatu. I have 10 owls so far and these were done in the following order: (1) Spanish, (2) German, (3) Italian, (4) French, (5) Portuguese, (6) English from Spanish, (7) English from German, (8) English from French, (9) English from Italian, (10) English from Portuguese. Soon I will also have 3 more: Polish from English, French from Spanish, Portuguese from Spanish. Hey Alexis! Could you add the Irish trophy next to my name? I will include a screenshot in case you haven't seen it yet. Golden Owl Hall of Fame - Please Sign Up on the New One! I got my first golden owl!